President Donald Trump tweeted a video on Friday adding to aggressive critiques of comments Rep. Ilhan Omar (D-Minn.) made last month about the September 11 terrorist attacks. The president used a graphic video portraying the 9/11 attacks and the controversial words of Omar, with the caption “WE WILL NEVER FORGET!” Recently, many media outlets have decided to be careful with airing videos like the one used by the president, showing the planes crashing into the twin towers, due to research studies claiming the videos cause clinically diagnosable stress responses in people, including those who were not in the vicinity of the attacks. Rep. Omar’s words that “some people did something,” which seemed to be shrugging off the severity of the Sept. 11 terrorist attacks, caused many conservatives to condemn her comments including Trump. “For far too long we have lived with the discomfort of being a second-class citizen and, frankly, I’m tired of it, and every single Muslim in this country should be tired of it. CAIR was founded after 9/11 because they recognized that some people did something and that all of us were starting to lose access to our civil liberties,” said Omar at the CAIR, Council on American-Islamic Relations in a speech on civil rights and Muslims in America. 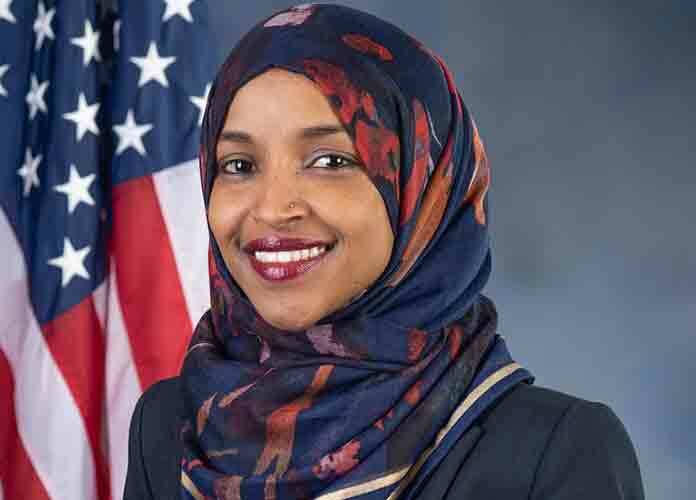 A spokesperson for Omar said she misspoke on the date the CAIR was founded and meant to refer to the fact that the organization that was founded in 1994 had doubled in size after the September 11 attacks. Many are outraged by Trump’s tweets and have come out in support of Omar including Rep. Alexandria Ocasio-Cortez, House Speaker Nancy Pelosi and presidential candidates Bernie Sanders and Elizabeth Warren.